Often a necessity in cancer treatments, chemotherapy and cranial radiotherapy reduce or stop cellular activity at the follicular level and in sebaceous glands. Hair will fall within days of starting the treatment. The scalp may become sensitive, irritated and dry during treatments. When these are over, hair will regrow. The hair cycle will start again, but the hair is still fragile and more at risk of being damaged by processes such as dyeing, perms and some hair care products. The amount of hair loss and the rate of regrowth are different for each individual. Every patient and cancer therapy treatment will vary. Alleviating the effects of your treatment? We can! Products from the Térapo Médik™ Scalp Care Line are made with 100% natural ingredients including calendula oil, hydrolyzed cornstarch and an amino acid complex. Their soothing action calms the itching while stimulating the hair follicles and regulating the hair growth cycle. During treatment, alternate the Térapo Médik™ Vitascalp and Hydrascalp Shampoos. After shampooing, apply the Térapo Médik™ Hydrascalp Lotion. 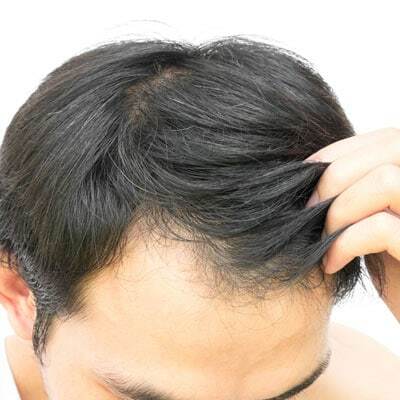 One month after treatment, alternate the Vitascalp Shampoo and Vitascalp Lotion to stimulate hair regrowth, and the Hydrascalp Shampoo and Hydrascalp Lotion to hydrate the scalp.